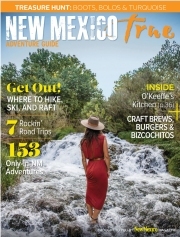 “The Albuquerque Megaband” is an open community band which provides an opportunity for musicians to get together and play acoustic string band music. 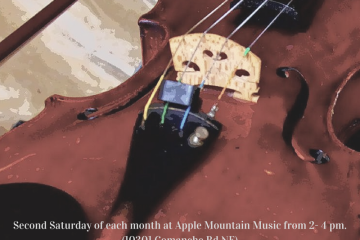 Megaband practices are held on the second Saturday of each month from 2 to 4 p.m. at Apple Mountain Music, 10301 Comanche Rd. NE (www.applemtnmusic.com/). The Megaband is also meeting at Winning Coffee Co., 111 Harvard SE, (http://www.winningcoffeeco.com/) on the fourth Sunday of the month from 2 to 4pm. Please join us! Thursday – Saturday: 10 a.m. – 7 p.m. Rough Rider Motorcycle Rally (July 27–July 29): Inspired by Theodore Roosevelt and his Rough Riders, and their reunion held in 1899 in Las Vegas, this annual gathering of motorcycle riders from all over the country honors that camaraderie and sense of honor. There are lots of iron horses, interesting characters, three days of live music, a motorcycle rodeo, a bike show, and competitions. Welcome to the 13th Annual Rough Rider Motorcycle Rally in Las Vegas, New Mexico. Always held on the last full weekend of July, this Rally was started by local motorcycle riders who came together in 2005 to plan a Rally around the area’s history and special environment. The name was chosen because Rough Riders had a long tradition in Las Vegas. 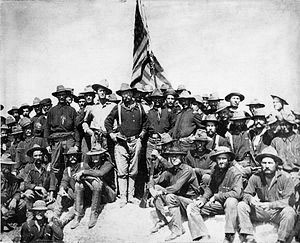 Early in 1898, Theodore Roosevelt recruited the 1st Volunteer Calvary Regiment from the western territories—New Mexico wouldn’t become a state for fourteen more years. He chose to enlist these men because of his confidence in their ability to adapt, their self-sufficiency and their spirit. The regiment’s performance during the Spanish-American War proved his belief in the frontier character. The men he chose came from various backgrounds and circumstances. Even so, these men all formed strong personal ties. Led by Theodore Roosevelt, the first reunion of the regiment was held in Las Vegas in 1899. Over 600 of the original 1000 soldiers attended. During the next 70 years, Rough Rider reunions were held to honor the regiment’s military service, but especially to celebrate the camaraderie and unique personalities that defined the Rough Riders. For the past twelve years, the Rough Rider Motorcycle Rally has brought motorcyclists from all walks of life, where camaraderie, unique bikes and personalities characterize the western spirit. Las Vegas’ historic Bridge Street which enters into our expansive Plaza is the backdrop for the Rally. Shops, businesses, vendors and restaurants provide rally goers the opportunity for unique experiences. The roads radiating out of the town and wind thru amazing scenery and villages give riders of the iron horse a variety of options. The roads radiating out of the town and wind thru amazing scenery and villages give riders of the iron horse a variety of options. Check out the schedule of events for updates. Don’t forget to support the Rally and purchase a ticket for a round trip for two, to Las Vegas, Nevada with $500 spending cash. Be part of the tradition started by Teddy Roosevelt’s Rough Riders over 100 years ago and ride in on your iron horse on the last weekend in July. Experience the world’s largest ballooning event from the comfort of the beautiful Balloon Museum. Enjoy a delicious catered buffet meal inside the Balloon Museum’s glass enclosed Gallery. The Balloon Museum offers THE BEST VIEW of the Mass Ascensions and Balloon Glows in Albuquerque! Fully catered Buffet with beverages. Cash bar available in the evening. Exclusive Indoor Gallery Dining and Viewing overlooking Balloon Fiesta Park. Outdoor Balcony Setting for Prime Viewing and Taking Photos. One official 2019 collectible Pin PER PERSON. Admission to the Anderson-Abruzzo Albuquerque International Balloon Museum. 10% Discount for Shopping at the Museum Shoppe. FREE shuttle service to/from Balloon Museum to Fiesta Field. One Museum Lot Parking Pass for the Balloon Museum parking lot per Registration. Tickets for each event are $74 for adults and $29 for children ages 2-10 years old. Purchase your tickets while they are available! Click on your preferred day & time below or call 505-880-0500 for group reservations or general ticketing. Call today for 10% discount code for Museum Members and Military Members. Event is rain or shine. Tickets are nonrefundable. 40% of the cost of this ticket is considered a donation to the Anderson-Abruzzo International Balloon Museum Foundation. Thank you for your purchase. In 2016, the Twinkle Light Parade was named #2 Best Holiday Parade in the Country by USA Today 10Best! Thank you for all for voting!